MEDIDOR BIDIRECCIONAL PARA SISTEMAS FOTOVOLTAICOS INTERCONECTADOS A LA RED DE CFE. 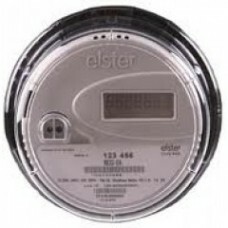 MARCA ELSTER MODELO REX-2 BIFASICO PARA CONTRATOS DE 220 VOLTS, POR REQUERIMIENTOS SOLO SE ENVIA A LA SUCURSAL DE CFE DONDE USTED NOS INDIQUE. PARA SU INSTALACION ES NECESARIO TRAMITAR UN CONTRATO DE ENERGIA RENOVABLE PARA SISTEMAS FOTOVOLTAICOS Y TENER PREVIAMENTE INSTALADOS LOS PANELES SOLARES JUNTO CON EL INVERSOR O MICROINVERSOR.